Today’s journalism landscape will change tomorrow. And that’s an exciting concept, no doubt, but it can also be frustrating. So when I signed up to attend last month’s panel, called “The Emerging Skills of Tomorrow’s Journalist,” I thought I’d leave with answers. Would someone actually be able to point me in the right direction? Would I leave knowing which tools make it simpler for journalists to navigate this rough sea of social journalism? Turns out, I didn’t leave with answers. 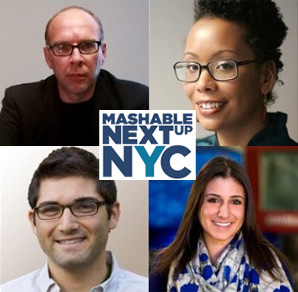 The panel featured Mashable’s Vadim Lavrusik, New York University’s Jay Rosen, CNN’s Laurie Segall, the New York Times’ Jenna Wortham and All Things Digital’s Drake Martinet, but it quickly became apparent that even these leaders don’t have any magic beans in their pockets. And in a way, this was the panel’s most powerful message: the secret is, there is no secret. The buzz around RockMelt has been intense. Yet some journalists are wondering if this is something they need to pay attention to. 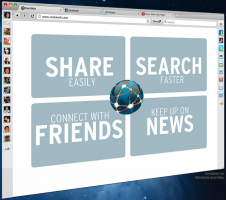 If you haven’t heard, RockMelt is a new Web browser that directly integrates social media. If you’re still confused, the New York Times has a useful user manual that is pretty easy to follow and it also includes a guide on how to download it. This post was originally published on the Journalist’s Toolbox, a resource offered by the Society of Professional Journalists. It was republished here with permission. Some great links from Jeff Cutler’s online tools session and others on Monday: Buzz.Yahoo.com for mining story ideas; Search.Twitter.com Advanced for detailed Twitter and hashtag searches and WalletPop, a finance site that helps you find the most dangerous neighborhoods for crime. More to come later in the convention! The Journalist’s Toolbox will post tweets live Oct. 3-5 from the convention in Las Vegas. Just follow @journtoolbox and the #spj10 hashtag. It’s not the fanciest site on the Web, but DrGrammar.org has a great quick-reference page. Another helpful tool: Thsrs, the shorter thesaurus, which produces shorter synonyms for any word you type in. It’s a very helpful tool for writing short, tight headlines. We’ve added dozens of new resources, including Twitter guides for journalists, backgrounds, URL shorteners and other tools on the Toolbox’s Twitter Resources page. The Toolbox has launched a Mobile Journalism page that features links to app-making tools, readings on mobile media strategy and a list of recommended apps for journalists to use on their smart phones. Interactive Group Brainstorm: What is Multimedia Journalism? What is multimedia journalism? That’s the question I planned to ask my class (WRI 430) to begin the semester. To have a “multimedia” discussion, I wanted them to be able to interact directly on screen. I needed something that would run in a Web browser because campus IT policy doesn’t allow us to install software in the lab.